Uber and Lyft are the two leading ridesharing companies. Ridesharing companies do not fall under the traditional category of transportation service providers but are classified as Transportation Network Companies (TNCs). TNCs have shown tremendous grown over the last few years, primarily due to their convenient business model and their affordability. However, while the segment continues to grow, the number of accidents involving Uber and Lyft vehicles has also increased in Arizona. If involved in a road accident with an Uber driver, you need to speak to an Uber accident lawyer. TNC’s describe themselves as referral companies that provide independent drivers the opportunity to connect with potential passengers. The system is fairly simple. Interested riders need to download the Uber or Lyft app on their mobile devices. Whenever they need a ride, they can use the app to request a driver. The nearest Uber or Lyft driver will connect with the rider and will further get details. Once the ride is confirmed, the rider makes the payment through the app using a credit card. Since Uber and Lyft are the ones providing the service, they keep a cut while the driver keeps his share. The entire system is smooth, easy and convenient for both the rider and the driver. If injured in an accident involving an Uber or Lyft car, you need to contact a Lyft accident lawyer. Uber and Lyft services are available 24 hours a day, seven days a week. Since you plan the ride online, there is no extensive waiting time at the pick-up location or on the phone. Both these companies offer a variety of vehicle options ranging from basic vehicles to luxury cars. More riders are now choosing Uber or Lyft because they feel that traditional taxis are expensive. This is true especially during peak hours or on special holidays, community gatherings and/or sporting events. Riders who use Uber and Lyft offer mixed reviews about the services. While some are extremely satisfied, there are others who did not have a very good experience. Talk to a car accident attorney if injured in a road accident that involved an Uber or Lyft vehicle. It is the insurance company that is liable to provide compensation for any damages. When it comes to TNCs, there are three parties involved instead of just two. Uber and Lyft are the service providers, and Uber and Lyft drivers are the ones transporting the riders. In case of an accident, it all depends on how the accident occurred and who was responsible. You should speak to an Uber accident lawyer if you want to get more information about liability. Uber and Lyft both have insurance policies in place in Arizona. This insurance policy includes coverage for both bodily injury and property damage. Uber and Lyft drivers are also required to carry their own auto insurance. 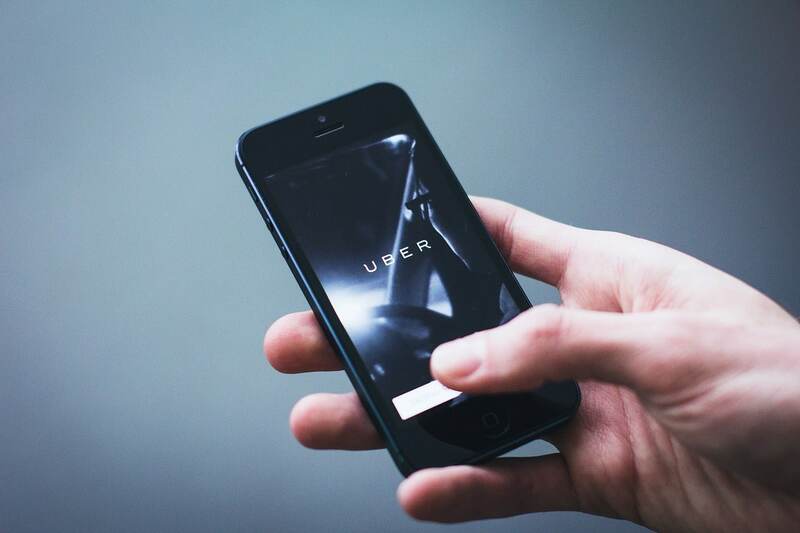 If an accident happens, the victims would get compensation from either the Uber’s or the driver’s insurance company. But in reality, this is rarely the case. When an accident occurs, insurance companies try to minimize the amount of money they would have to pay. With TNCs, this becomes much easier as the company’s insurance company could always blame the driver. It only applies to a situation where the rider is driving an Uber rider and is using the Uber software. However, let’s think of a scenario where the Uber driver is off-duty, and there is no rider in the car. If this Uber driver gets into a car accident, Uber will refuse to take any responsibility. If this is the situation you’re in, talk to a car accident attorney about how you can get compensation. There have also been situations where an Uber driver gets into an accident while they are off-duty and hurt someone. But their insurance company refuses to pay because the driver only has a personal auto insurance policy. This may not hold up for long, but it can delay compensation payments for quite a while. Talk to a Lyft accident attorney about your financial challenges so that they can help you get the support. There is also another possibility. Uber or Lyft can back out because how they drive is not the company’s responsibility. This entire story of drivers not being actual employees of the company allows them to not pay any compensation. Talk to an Uber accident attorney as to how you can avoid such a situation. Finally, there can also be a situation where the Uber or Lyft driver are underinsured or uninsured. After all, the driver screening process of Uber is not very thorough. Over the years, there has been criticism for its lack of background checks and lack of driver training. There is thus no guarantee that a driver when they applied to become an Uber driver would have insurance. If it turns out that the Uber or Lyft driver has no insurance or is underinsured, it is the accident victims that have to suffer since they are the ones who have to bear the financial expenses of bodily injury and property damage. You should contact a car accident attorney if the driver who caused the accident did not have any insurance. Despite all the possible scenarios outlined above, the fact remains that public opinion about ridesharing companies remains positive. People use Uber on a regular basis, and these companies continue to thrive. It is usually the victims that always end up suffering. That is why it is important to know your rights and to discuss your situation with an Uber accident lawyer. Since ridesharing companies have faced significant criticism recently, they have made efforts to improve their system. The fact is that with roads becoming more congested, there is no saying what could happen on any day. If involved in an Uber or Lyft related accident, you need to find out your rights as an accident victim. You also need to know how you can file a compensation claim. Call our Uber accident lawyer at Warnock MacKinlay Law. We have been serving clients in Arizona for many years, and we have dealt with several cases involving ridesharing companies. Call our car accident attorney at 602-833-4735. Your first consultation is free, and you don’t pay us anything unless we succeed in getting you your compensation. Remember, insurance companies are very difficult to deal with. In the case of ridesharing companies, the situation is more complex as you have to deal with two insurance providers. Let our Lyft accident lawyer handle this part while you focus on recovering from your injuries. We will ensure that you can get the support you need to handle any damages that you may have incurred. Call us today and find out what the best course of action is for you and your loved ones.